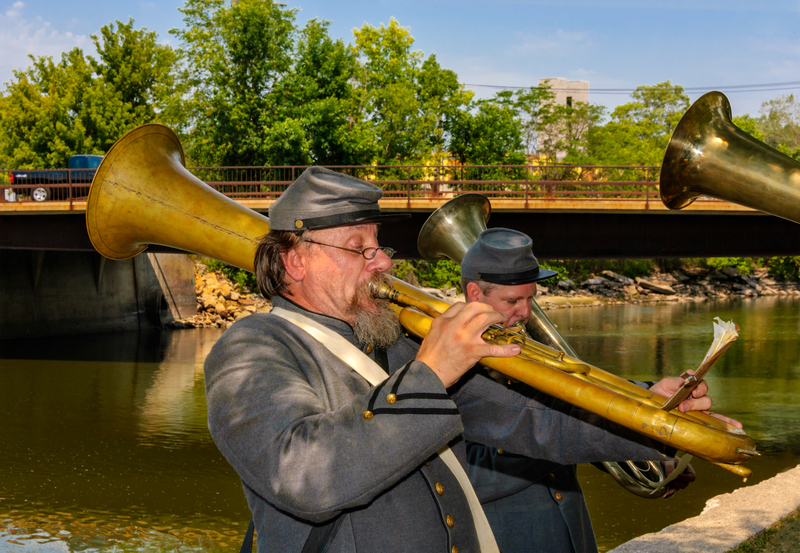 The fame of the 26th North Carolina Regimental Brass band during the Civil War has allowed the Federal City Brass band to produce some of the most authentic 19th-century brass band reincarnation. During the war, the 26th campaigned all the way to Gettysburg, where it was captured, and “was said to be one of General Lee’s favorites.” The music researched and connected with this band has opened up the repertoire for many other Civil War reenactment bands. When the Federal City brass band isn’t reproducing the 26th North Carolina, members can be found in blue uniforms reenacting a U.S. Army band. All instruments performed on by this group are originals from the 19th century.